St. Lucia Day is a Christmas time celebration in Sweden and Scandinavian countries. On the feast day of St. Lucia, December 13th, young girls dress in long white robes with a red sash and don a candle crown made from lingonberry branches and deliver saffron buns to their family. There are also public processions and singing by candlelight that accompany the feast. St. Lucia was a young Christian girl that was martyred in the year 304. She is most known for delivering food to persecuted Christians hiding beneath the city. She would wear an evergreen wreath of candles on her head to light the way. 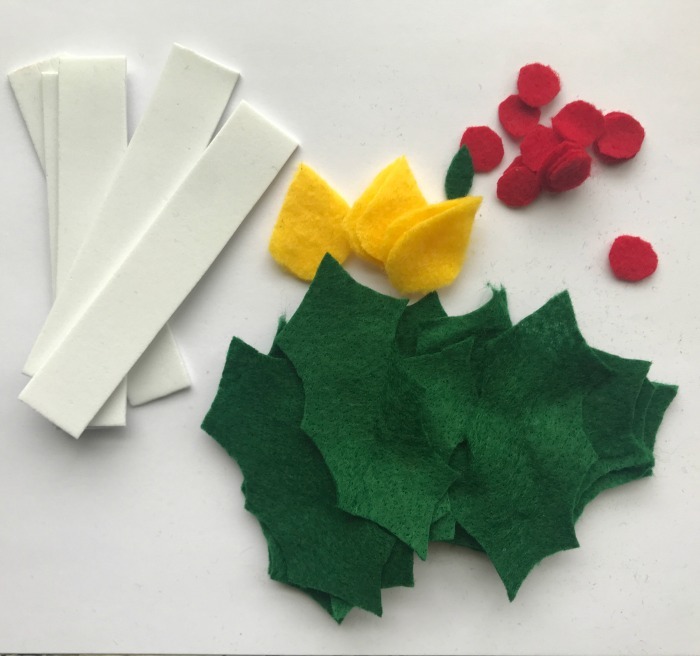 I wanted to create a fun way for my girls to dress up and celebrate St. Lucia day and decided that a felt version of the St. Lucia Candle Crown would be perfect – and not need to worry about dripping candle wax onto their heads! 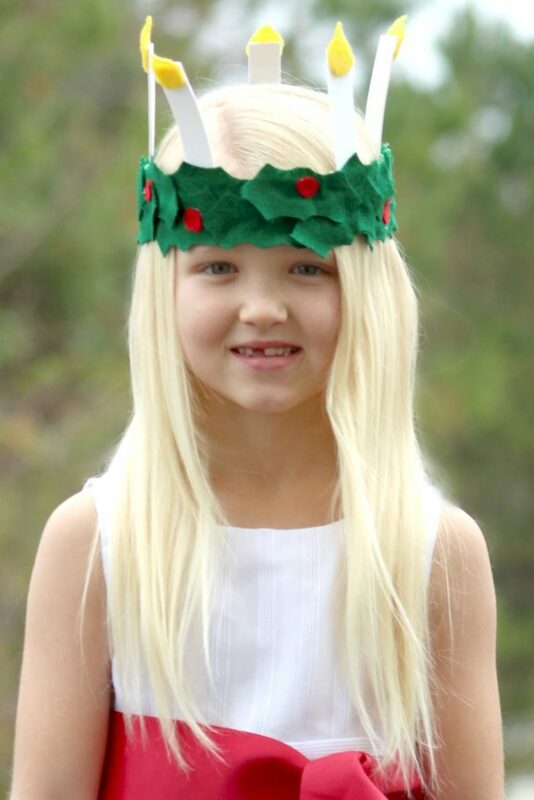 With our printable template, you can easily make the felt St. Lucia Candle Crown too – add this kids activity into your Saint Study or Christmas around the world unit. 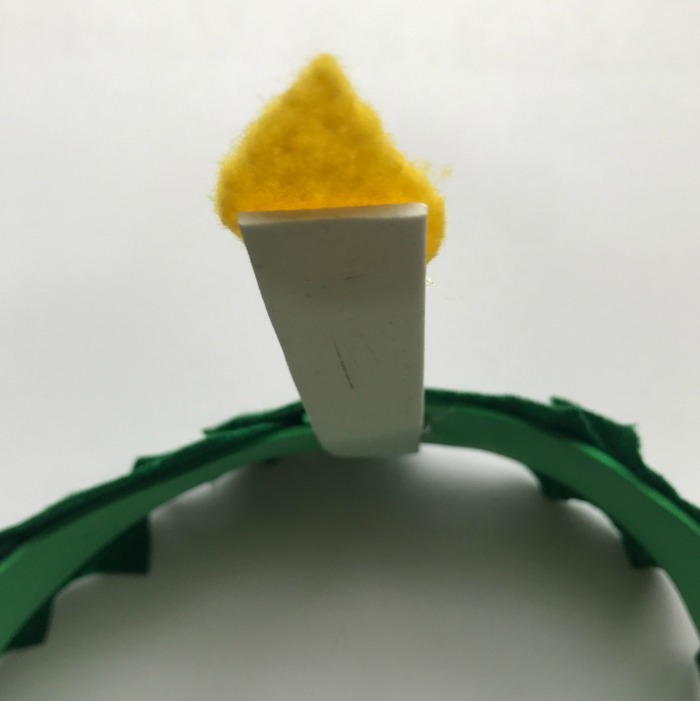 This St. Lucia candle crown is made entirely out of felt and foam sheets, making it safe and comfortable for the kids to wear but high enough quality that it won’t tear or rip. This is a no-sew project and the crown is held together with hot glue. Constructions of this candle crown is simple with our Printable template. Star by printing and cutting out each piece of the template. 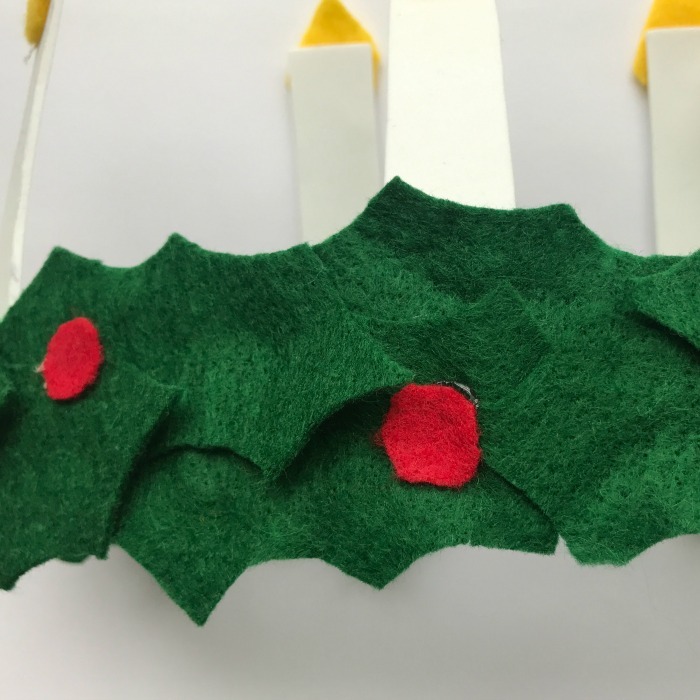 Then cut your pieces of felt and foam per directions on the template. Glue your candle flames (#2) onto the top of your candles (#3) and set aside. 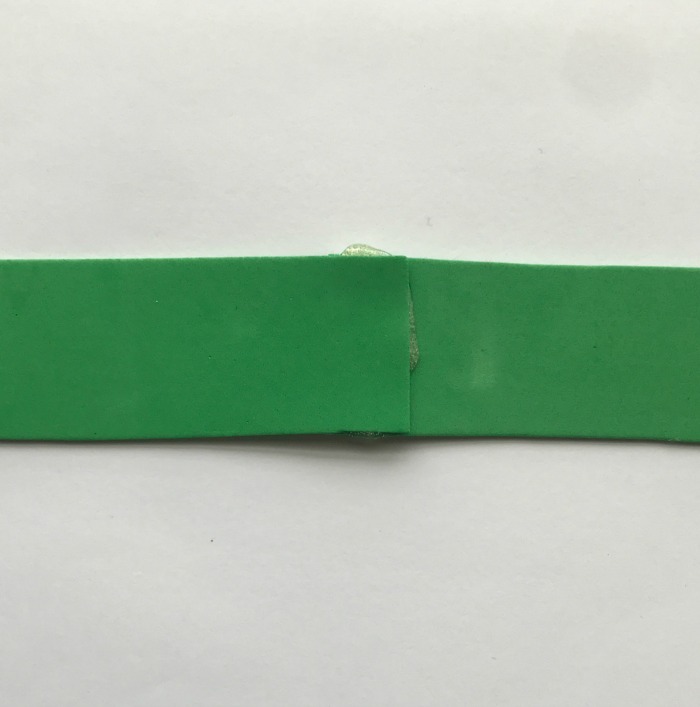 Glue your headband strips together (#5). 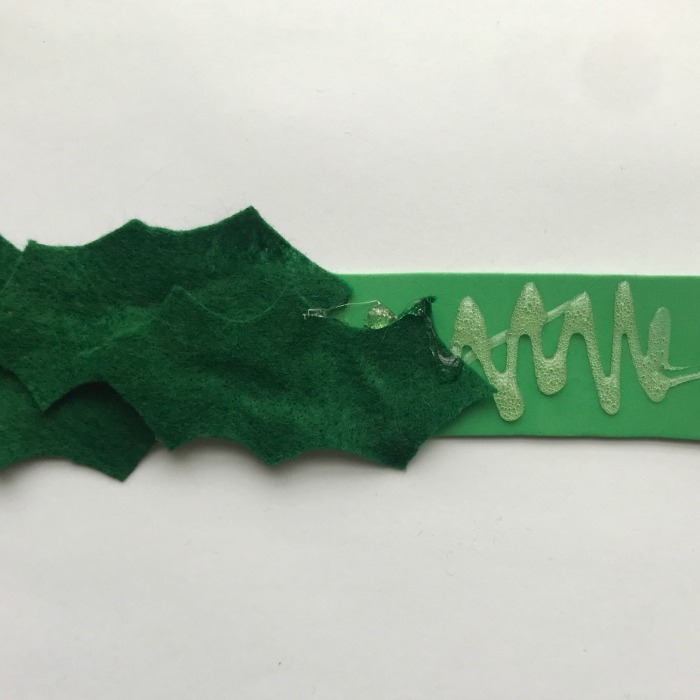 Decorate your headband by laying your greens (#4) on top and then measuring it to fit your child’s head. Glue end pieces together. 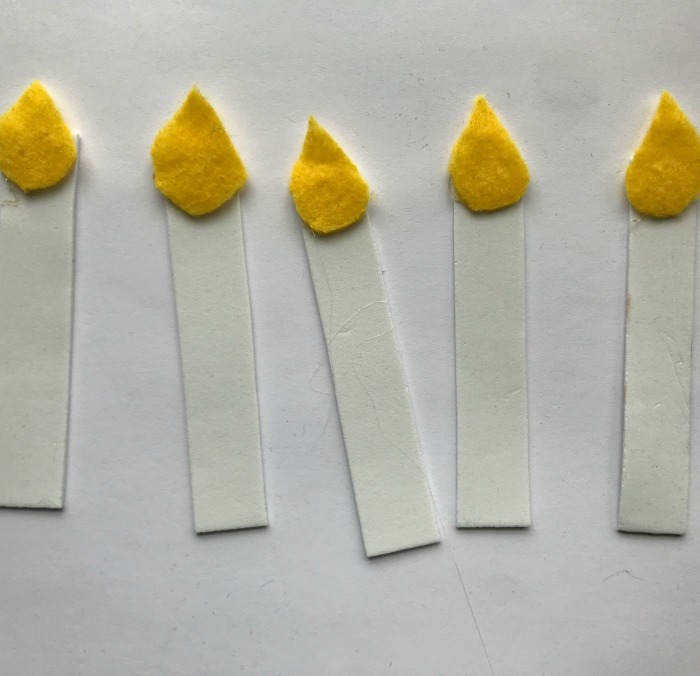 Glue candles, evenly spaced, to inside of headband. Finish by adding your berries (#1) to the greens on the outside of your headband. Enjoy your St. Lucia Day festivities!